People are angry; protesting at the homes of AIG executives. Congress is eager to act and acting: offering to tax bonuses at 90%. That’s anger and action: maybe not the kind we need but action nonetheless. But what do we have from the “Boy Wonder” Treasury Secretary? Old ideas on how to handle toxic assets repackaged by the government and for sale. But this will take another $1 trillion of taxpayers’ money. Paul Krugman puts down the Geithner plan in stark terms: it’s not new or inventive and won’t work. And Geithner knew about the AIG bonuses way back: he even worked to preserve them. Yet President Barack Obama talks too much. An appearance with Leno was no help to him and last night on “60 Minutes” he was asked if he was “punch drunk.” And he has a speech scheduled on TV for Tuesday night. He’s outraged, he’s confident, Geithner is a good guy, and his budget spending on the environment, health care, energy, education and the rest will ultimately drag the economy out of this hole and balance the budget. Forget that budget, at least for a week. Everyone is focused on AIG and Wall Street and eager for action — not more spending. What President Barack Obama needs to do is something foreign to a community organizer, teacher, and professional elected official: he has to take action; shut up and act. He’s got to restore confidence: as he has said himself. 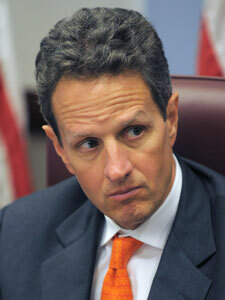 He’s got to fire Geithner who is in bed with the Wall Street types he cannot fire. That means he may have to fire Larry Summers too: because he is also in bed with Wall Street and is Geithner’s mentor in chief. Geithner is expendable: a guy that has helped Wall Street (according to the left) and a guy that wants to throw around even more money (according to the right). Plus he is widely seen as weak and has a TV and public appearance persona of a worm. Some have called all this an “incestuous relationship” …. the Geithner-Wall Street-Summers-politics stew. Geithner and Summers have no clue what people are going through in the real world: and they have worked so far to protect the likes of Bernie Madoff, Wall Street and the AIG world. By not realizing the public outrage with the AIG caper; Summers cost the president confidence in his inner economic circle. The ensuing congressional outrage has probably lessened confidence in AIG forever: which will make it harder to sell off the bad parts and the good parts. AIG made a lot of mistakes but now “we” the nation have destroyed their brand name forever in the bargain. 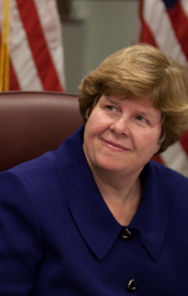 And the bonuses were protected in the stimulus and geithner made sure they were paid…. And other companies took money after causing economic ruin and will survive unharmed. Seem fair? Is this the new America? No courts required: just hearings and a trial on TV…..
Saturday, protesters went to the rich AIG executives homes to raise awareness and express outrage – a kind of witch hunt enters your neighborhood. This is bad business, bad politics, and bad for law and order. Meanwhile Vice President Joe Biden made fun of Toxic Tim Geithner even while the president is saying he loves the guy. “Tim Geithner is always there when you need to borrow money. And no questions asked,” Biden said in what was supposed to be a joke. Wanna bet? Nobody believes that. Geithner’s poll numbers are bad and if he continues in his job it will be Barack Obama’s poll numbers that suffer….even more. I can predict the headline: Geithner Blow-back On Obama. This is like watching a freshman throw up out the window and it all winds up on the prom queen. This is the Special Olympics White House. It isn’t even certain anymore that Helicopter Ben Bernanke knows what he is doing. By injecting even more money into the economy, he is risking inflation and gold is already up and the dollar already down. People are angry and demanding action. Obama should give them action. 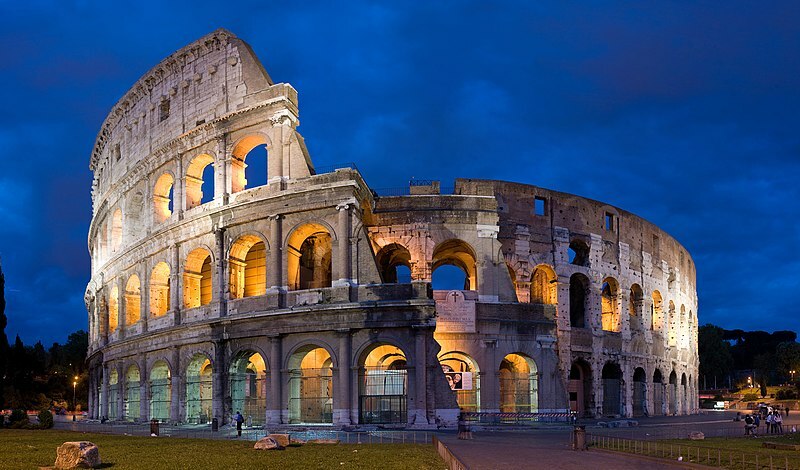 Like a Roman emperor: now is the time for a very public thumbs down in the Colosseum of the national media. Forget the venue. Forget the words. Forget the host: I mean even Leno couldn’t save the president from himself, much as he tried. “60 Minutes,” Leno, campaigning, basketball, and a speech from the White House will no longer do. Americans are no longer hungry to see their president talk, wise crack or fill out his brackets. Throw Geithner to the lions. Then develop a real plan of recovery. Fix the toxic asset problem and get lending going. It’s late but it’s never too late for this. We are in a culture war and an economic war at the same time. 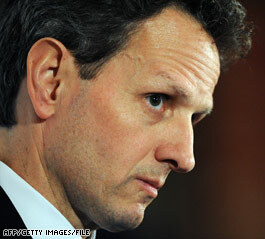 Geithner offers good news to either side in either war. He’s toxic. And not an asset. WASHINGTON (AP) – Amid the continuing backlash over AIG bonuses, President Barack Obama is defending his embattled treasury secretary and touting his ambitious $3.6 trillion budget proposal as a boon for ordinary Americans. And, as early as Monday, the administration is expected to roll out a plan to rid banks of their toxic assets and speed the flow of loans. Some industry officials familiar with the details said they expected the approach would try to remove as much as $1 trillion from banks’ books. Obama used his weekly radio and Internet address to turn the focus back to his budget proposal, calling it “a firm foundation of investments in energy, education and health care that will lead to a real and lasting prosperity.” He plans a network television interview airing Sunday and a prime-time news conference Tuesday to continue bolstering his case. The disclosure that American International Group Inc. paid out $165 million in bonuses to employees, including to traders in the financial unit that nearly collapsed the insurer, has dominated the news this week. It has left the Obama administration on the defensive and seeking to refocus attention. In the interview with CBS’ “60 Minutes,” Obama made clear he was standing behind beleaguered Treasury Secretary Timothy Geithner, who was roundly criticized over the bonus flap and steps to revive the economy. Obama said that if Geithner offered his resignation, the answer would be, “Sorry buddy, you’ve still got the job.” CBS released excerpts Saturday. The Fed’s announcement last week to flood the financial markets with $1.2 trillion in new money stunned many. True, governments often print money as a cheap way to buy off their debt. Governments also find that instead of paying off their debt they can simply reduce the value of the currency so much that earlier debts are not worth anything. But the shear size of the current change to the world’s preeminent currency is unprecedented. More money means that each dollar falls in value and can purchase less than it did previously. Think of it this way: If the number of apples suddenly doubled tomorrow, what would happen to the price of each apple? It would fall. Same with dollars, whether American or Zimbabwean, where the current inflation rate is 230 million percent annually. The size of this $1.2 trillion increase is breathtaking, and the U.S. monetary base has already more than doubled so far, from $800 billion to $1.7 trillion. One normally needs a microscope to see past yearly changes in the money base, and the current change already jumps off of any chart – look at the one on the right from the St. Louis Federal Reserve Bank showing the blastoff. As the chart illustrates, even before the last infusion of money, we have already seen a huge increase in the money supply (M1) this year. Devaluating our currency and our debt is a dangerous game. It may cure short-term ills but, in the long run, countries won’t want to hold U.S. government bonds or other investments if they think they risk losing a lot of money this way. With the Fed’s announcement, the value of the dollar has started dropping precipitously. On March 12 it took $1.27 to buy a Euro. By last Thursday it took about $1.37. It is surprising that the size of the drop hasn’t been even larger. The Fed seems to think that it is battling what might be a massive deflation and wants to protect against the unemployment that might result from sticky wages and prices. But instead of deflation, these huge increases in the money worry us that the opposite, a hyper-inflation, will be more likely the case and there will be real costs. And while this huge increase in money will undoubtedly be the one thing that the federal government has done that will lower unemployment, it is just the wrong way to lower it. As Milton Friedman was well known for pointing out, inflation will cause some workers to think some jobs are offering higher real wages than they actually are. The problem is that once these workers realize their mistake – that the slightly higher wages they accepted were eaten up by inflation and did not represent a real increase – they will leave the jobs they took hastily to look for positions offering a real increase, ones they should have pursued all along. It is a solution, but a false one. There are other bad consequences from this huge increase in the money supply. Interest rates will go up, simply because lenders will have to be compensated for the fact that any money that they get back a year from now will be worth less because of inflation. With the rates up, investments will fall. However, the interest rate will actually go up by more than the inflation rate because our tax rules don’t adjust taxes on interest rates for inflation. If inflation goes from zero to 10 percent, the interest rate doesn’t simply go from, say, 5 percent to 15 percent – it has to go up by more than that to keep the after-tax return to investors the same. In fact, if someone is paying a 50 percent tax rate, increasing inflation from 0 to 10 percent would require increasing the interest rate to 25 percent to keep even! This huge increase in the money supply may provide a short gain, but the long term costs are going to be huge. The notion that the Federal Reserve is capable of smoothing out the impact that such a change has on inflation is hubris at its worse. The Fed has a difficult enough job controlling inflation under the best of circumstances, and the Fed has never had to be asked to control this type of increase in the monetary base before. Stimulus Complete: Now Comes New Economic Nightmare in Stagflation? CONGRESS has made a terrible mistake. Amid a rhetorical debate centered on words like “crisis,” “emergency” and “catastrophe,” it acted too fast. While arguments were made about the stimulus bill’s specific components — taxpayer money for condoms, new green cars and golf carts for federal bureaucrats, another round of rebate checks — its more dangerous consequences were overlooked. And now the package threatens a return to the kind of stagflation last seen in the 1970s. To get a sense of the pressures ahead, we must first assess our fiscal health. We started this year with a projected trillion-dollar budget deficit for the 2009 fiscal year. In 2008, we spent $451 billion just to pay the interest on our debt. With the stimulus bill now becoming law, we’re digging even deeper into debt. The headline price tag of $787 billion doesn’t include the extra $348 billion it will take to finance the new debt, or what it will cost when Congress extends the spending programs in the bill, as is likely — as much as $2 trillion more. Add in the billions that are being used to prop up the financial system, and when the dust settles on 2009, with millions of baby boomers retiring and entitlement spending exploding, taxpayers will face a financial nightmare. From a global perspective, the picture only looks worse. As we have debated how much money to borrow and spend in hopes of jump-starting our economy, we’ve ignored the worldwide stimulus binge. China, Europe and Japan are all spending hundreds of billions of dollars they don’t have in hopes of speeding up their economies, too. That means the very countries we have relied on to buy our bonds, notably China and Japan, are now putting their own bonds on the global credit markets. American Treasury bonds have been selling briskly on the global credit markets because they have been the calm in the storm of the global credit crisis. This has allowed advocates of borrow-and-spend to argue that for the United States, borrowing is uniquely cheap. But what happens when there is an excess supply of bonds on the worldwide markets? The cost of borrowing will rise. Today we fear deflation, but eventually our fears will turn to inflation. It seems that no one in Washington is discussing what happens when the world begins this gargantuan borrowing spree. How high will interest rates rise? And more fundamentally, who will have the money to buy our bonds? It is possible that the Federal Reserve will succumb to pressure to “monetize” our debt — that is, print new money to buy our bonds. In fact, the Fed is already suggesting that it will buy long-term Treasury securities in order to lower borrowing costs. If it does, then our money supply, which has already increased substantially over the past year, will grow even faster. As Milton Friedman noted, “Inflation is always and everywhere a monetary phenomenon.” It is a situation in which too few goods are being chased by too much money. To American families, inflation is a destroyer of savings, a killer of wealth, a crusher of confidence. It calls into question the value of our money. And while we all share in the pain, the people whom inflation hits hardest are elderly people who live on fixed incomes, those in the middle class who are struggling to save for retirement and college and lower-income people who live paycheck to paycheck. Combine high inflation and high unemployment and you have stagflation. Hindsight shows how the pain of the late 1970s and early 1980s could have been avoided, yet we’re now again planning to borrow and spend — and raise taxes — as President Jimmy Carter did. Soon we may again find ourselves watching a rising “misery index” of inflation and unemployment together. If that happens, individual earning power will evaporate, and our standard of living will decline. When McDonald’s sharply lowers the price of the Filet-O-Fish and Double Cheeseburger in China, one thing is clear: the global slowdown has truly arrived in the once sizzling Asian economy. McDonald’s announced Thursday that the world’s most populous nation would now be able to feast on four new combo McDonald’s meals — also featuring a chicken filet burger and a pork burger — for 16.50 yuan, or $2.41, a savings of up to one-third from the former price. The special promotion, McDonald’s said, is “in line with the government’s direction to stimulate domestic demand” and “help build a stronger economy.” As the economy slows, “we can do our part by helping stimulate domestic demand in the restaurant sector,” said Jeff Schwartz, McDonald’s China chief executive. McDonald’s is not the only food retailer to have lowered prices in China Others like KFC also have launched promotions as shoppers in China began to fret about slowing growth and rising unemployment. But the price reductions by one of the world’s best-known companies highlight how the economic downturn that began in the United States has changed shopping — and selling — patterns as far away as China. Just a year ago, the prices of staples like pork, rice and cooking oil were soaring, lifting inflation and threatening to overheat the Chinese economy…. Name one state, agency or program that will get more than $300 Billion from the $800+ Billion economic stimulus. That would be China. Nothing and nobody comes close. China will reap over $300 Billion just by fincnacing the stimulus. That will be U.S. dollars flowing from Americans to China as interest on the loan. We’d be be better off borrowing from our credit cards. When America borrows, who pays? First, I guess, and correct me if I’m wrong, China lends the money to the U.S.
China already “owns” as of October, 652.9 billion dollars in US Treasury bonds. And China won’t just get the money: China will gain further in its already pervasive importance in the world. And China may call the shots. Just today, China said it didn’t like the “Buy American” provisions in the economic stimulus. What else doesn’t China like? When one country owes another country so much money, over $1 Trillion, what will happen? We don’t know, because this has never happened before. Like a Mafia, Boss, China will own the United States. And, if real estate trends are any guide, China will also buy up any remaining valuable U.S. soil. China will have all the money. And in some places, money is power. In the business deal called the economic stimulus, I’d rather be Chinese than American…. Republicans insisted Wednesday that their own economic stimulus plan, focusing on tax relief, would create twice as many new jobs – 6.2 million – as the plan Obama is pushing, while costing about half as much. As a business owner, here’s how I see the economy. “We” Americans got where we are by spending too much money we didn’t have. Now “we” as a nation propose to spend even more to get out of this box. There are real dangers in inflation, loss of value in the dollar and other ills with such a huge debt — much of it owned by China. And China may resist buying even more…. I can’t hire or buy more equipment or inventory becaue I have no certainty that the economy will improve for, oh, say three years. The spending I see in the stimulus won’t do anything for me; unless maybe I can get some free condoms at family services. The Republican idea of tax cuts would at least allow me to plan my budget for a year or two. And the speed we’ve decided is necessary for the lawmaking associated with the stimulus has never before yielded good law…. WASHINGTON — House Republican leaders are standing firm in their opposition to the stimulus plan that President Barack Obama is asking Congress to approve. Just ahead of a House vote that they’re expected to lose along party lines, Republicans insisted Wednesday that their own plan, focusing on tax relief, would create twice as many new jobs – 6.2 million – as the plan Obama is pushing, while costing about half as much. The European Union joined calls on Monday for Zimbabwe’s President Robert Mugabe to step down from the leadership of his crisis-hit country. “I think the moment has arrived to put all the pressure for Mugabe to step down,” EU foreign policy chief Javier Solana told reporters ahead of a meeting of European foreign ministers in Brussels. Solana said it was possible that the 27-nation bloc could decide at the meeting to add up to 11 names to an already long list of Zimbabwean officials banned from traveling in Europe, but argued against any further sanctions on a country whose once-thriving economy is now devastated. “Everything that can be done has been done…The important thing is the political pressure now,” he said. The United States said on Friday that Mugabe’s departure from office was long overdue and that a food crisis and cholera epidemic in Zimbabwe meant it was now vital for the international community to act. Britain has told Zimbabwe’s neighbors they could expect firm international support for any effort to bring a “real change” to Zimbabwe. You are currently browsing the archives for the inflation category.